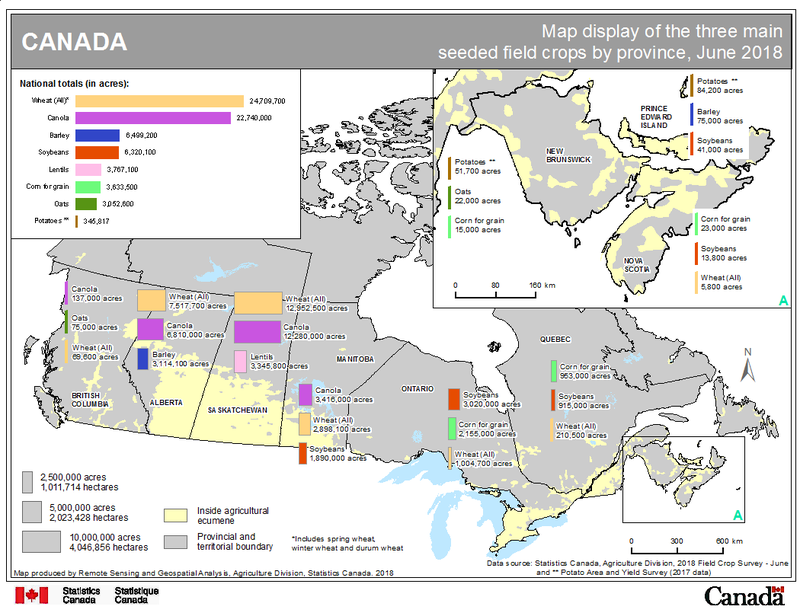 The 2018 Field Crop Survey - June, which collects information on field crop seeded areas in Canada, was conducted from May 11 to June 12, 2018, with approximately 24,500 farms. They were asked to report their seeded areas of grain, oilseeds and special crops. 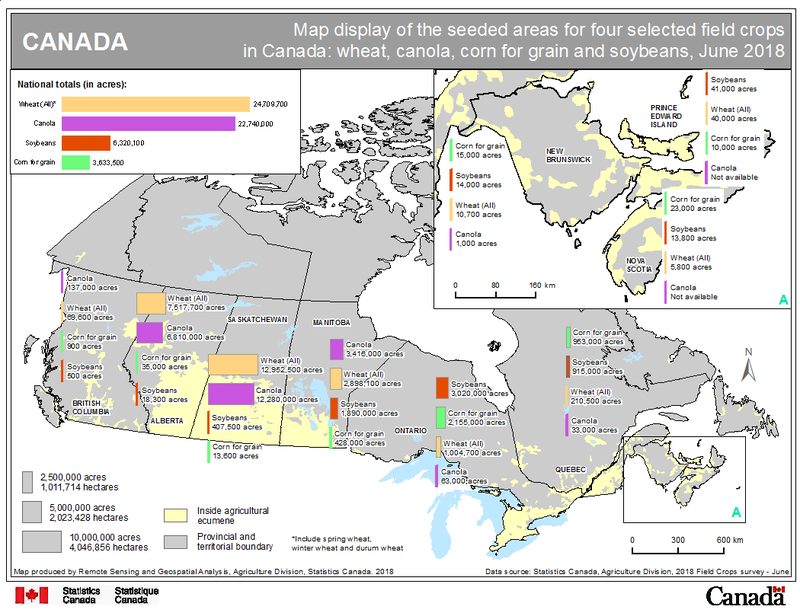 Changes in methodology were made to the Field Crop Survey, beginning with the April 27, 2018 release. For more information on the methodology changes, consult the document The Integrated Business Statistics Program. June seeded acres are subject to updates from subsequent surveys during the current crop year. Data on final acreages for 2018 will be released on December 6, 2018 and will be subject to revision for two years. Data for June 2018 are compared with final 2017 data.